Step into the colorful world of Henri Matisse and his magnificent paper cutouts! Based on the life of Henri Matisse, this moving and inspirational picture book biography includes a note from the author, dynamic quotes from Matisse himself, and an illuminating look at a little-known part of a great artist’s creative process. * "Simple, folk-style paintings show Matisse in a wheelchair in a studio amid his collages; in a quiet visual cue, a plant with oversize leaves suggests inspiration for their big, organic shapes. He continues to create until his death, another moment Winter handles gracefully…. Old age can be fertile and useful, Winter implies; disability doesn’t mean the end of creating, and triumph is possible where only sadness could have been foreseen. All of these messages lie obliquely in the text, but even readers who don’t dig that deep will share Matisse’s joy." 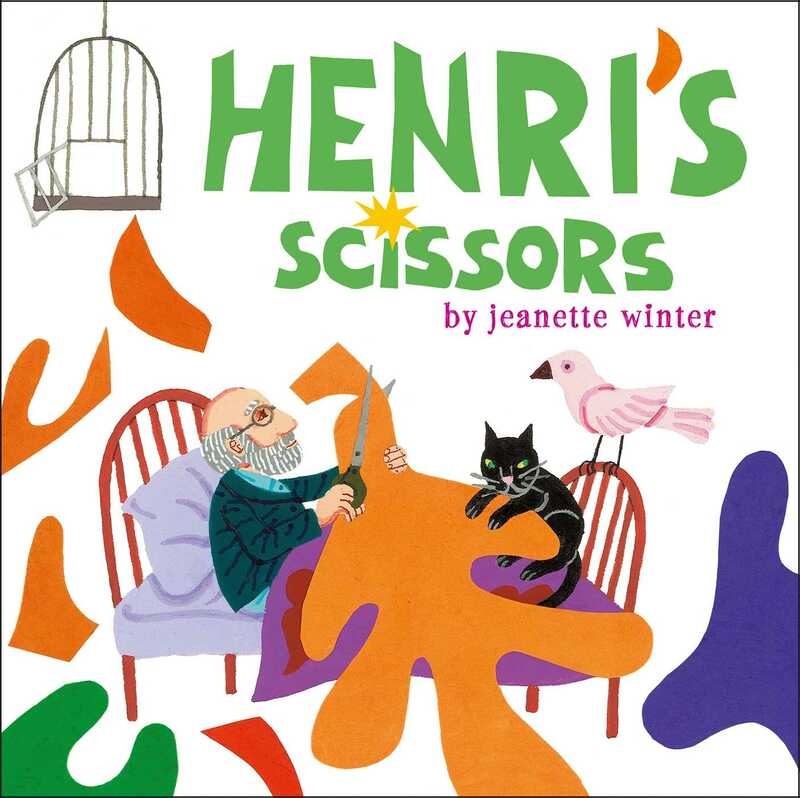 "In her latest picture book biography...Winter focuses on Henri Matisse’s later life, during which the painter took up collage.... With text that is straightforward and unflowery, Winter relies, successfully, on the strength of her own art to capture the essence of Matisse’s. 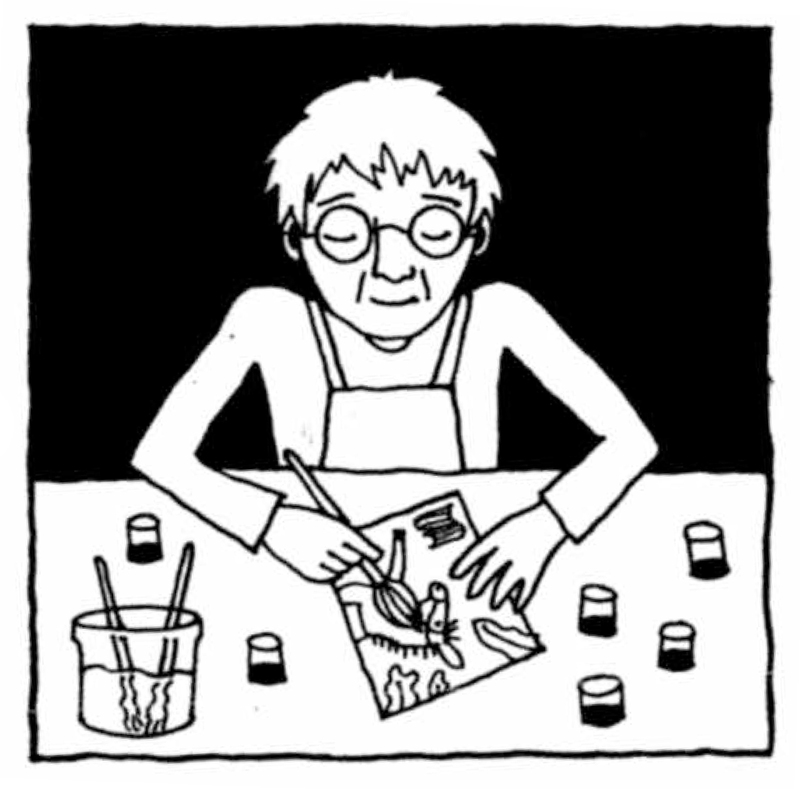 A brief author’s note explains her specific interest in this portion of the artist’s oeuvre." "In her extensive picture-book–biography oeuvre, Winter has proven to be particularly attuned to selecting the just-right elements of her subjects’ complex lives while making them both accessible to and readily understood by young children.... Winter both describes and employs Matisse’s signature, late-career technique of brilliantly colored, hand-painted, cut-paper compositions. She enlivens the simple text with liberal yet judicious quotes from Matisse’s letters and comments from contemporaries. This is a beautifully designed book that will certainly connect with readers...the book is a charming introduction to a widely reproduced, child-friendly artist, one that children will assuredly encounter and affirmingly embrace." "The accessibility of cut paper makes it a particularly child-appealing medium, and Matisse is certainly the grand master of the art, so audiences will be pleased to see the championing of this oeuvre...the art is strong and vigorous, with a hat-tip to Matisse himself in the form of the open window (a famous Matisse subject) that allows the old man to view the sea; the playfulness and imaginative employment of actual Matisse collage shapes effectively convey the way art and life vision can blend together." "The young reader gets a taste of Matisse’s art and a flavor of his creativity in the late period of his life.... Share this picture book biography with the art teacher. Incorporate the title in a story hour about imagination, color, or the beginnings of modern art."